I know it doesn’t look particularly appetizing but I promise you, this tastes incredible! 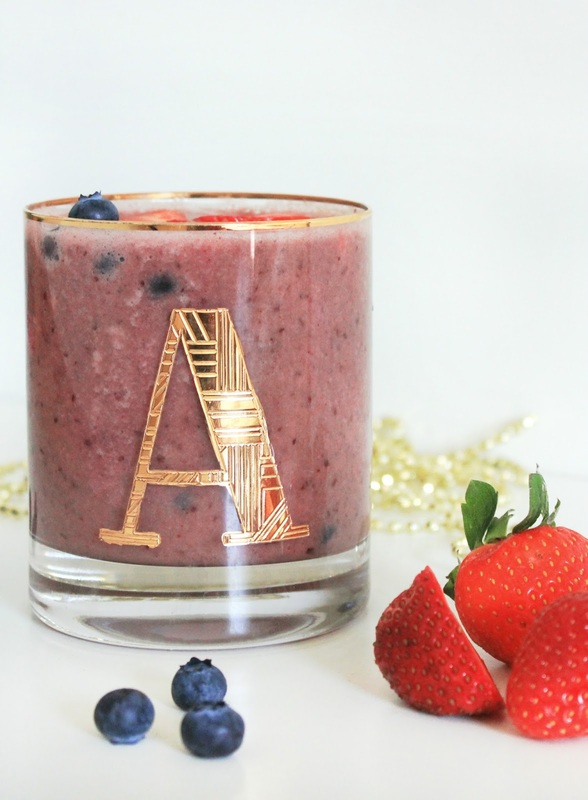 It’s my favourite smoothie of the moment – it’s quick, easy to make and super fruity so if you’re a fan of sweet smoothies, this is right up your alley. It’s also packed with antioxidants, so it works as the perfect healthy start to your morning. 2. Add the chopped banana, vanilla yoghurt, vanilla extract, honey and the berries and blend until smooth. Pour into some gorgeous glasses. Garnish with more berries and a sprinkle of coconut sugar before serving. Enjoy! Let me know if you try making this!